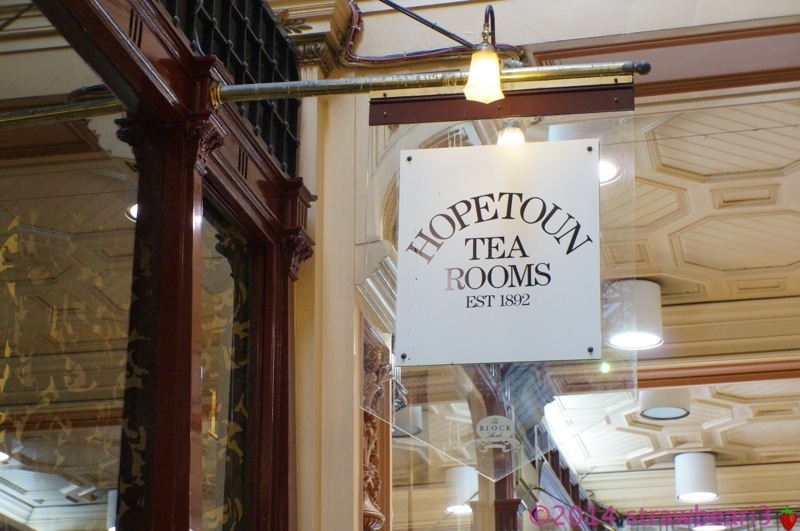 Hopetoun Tea Rooms is located in the Block Arcade at Collins Street, Melbourne. I had walked past it several times in my previous visits to Melbourne and there was always a line of people queuing up to dine there. 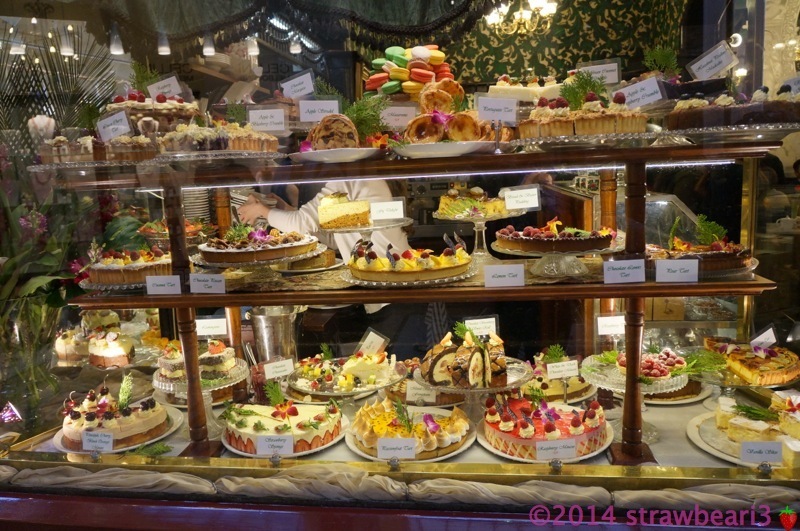 It must be the array of scrumptious looking desserts displayed in their window. 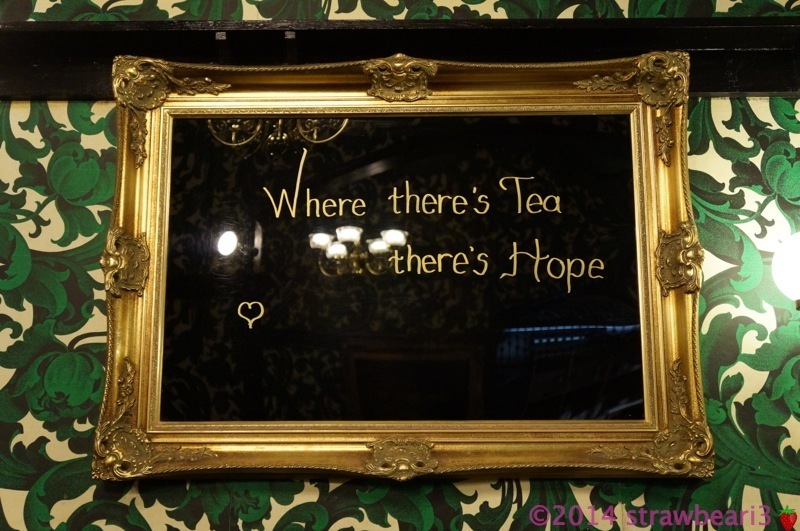 I was with my mum and aunty, we joined the queue and were seated in 15 minutes or so. We ordered the Fig Delight and Passionfruit Tart to share. 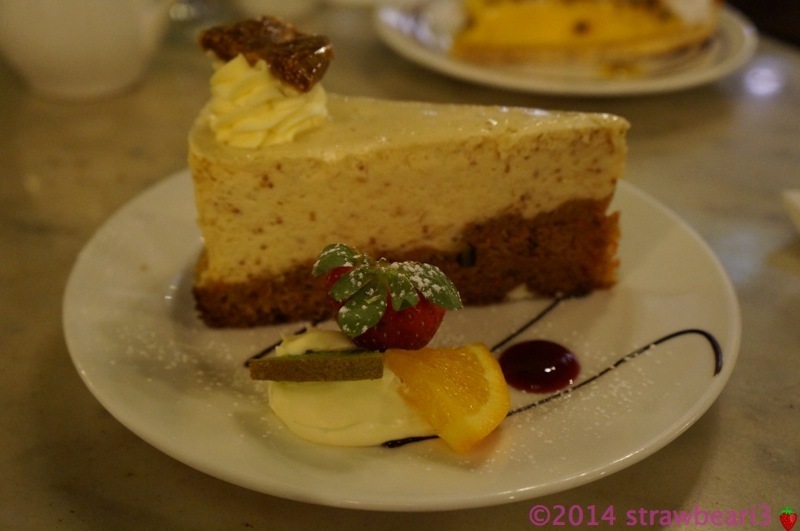 I rarely eat Fig, but the layer of Fig Sponge and Fig Mousse was delicate and delightful. 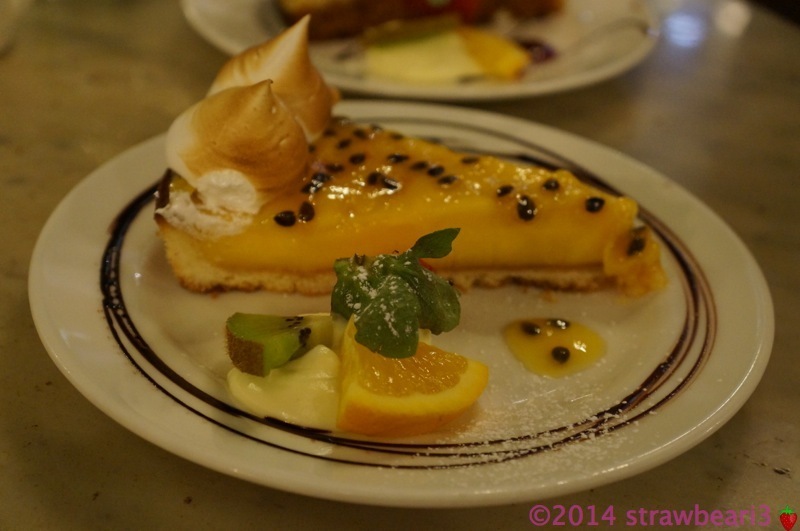 The Passionfruit tart was delicious too. We enjoyed the cakes and agreed that they tasted as good as they looked in the window. I was glad to have finally visited this place. cool photos. The lanes in Melbourne are awesome.